My family loves beaches. Give my kids some sand and they can be entertained for a few hours. Give them sand, a well structured pool, lots of places to run around in plus the facilities a country club has to offer and they would want to stay there forever. 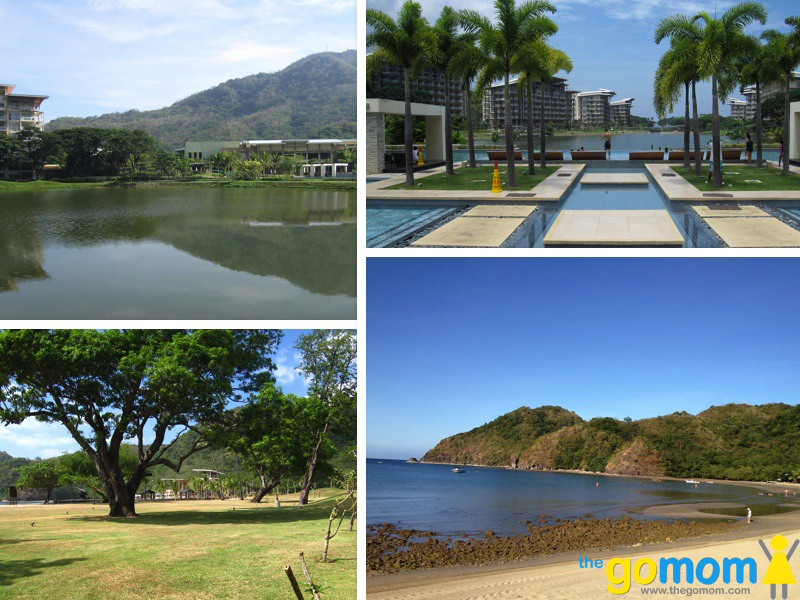 Pico de Loro is a members only leisure community developed by SM Land. And my family has been there twice last year and 2 trips are scheduled back there this summer. 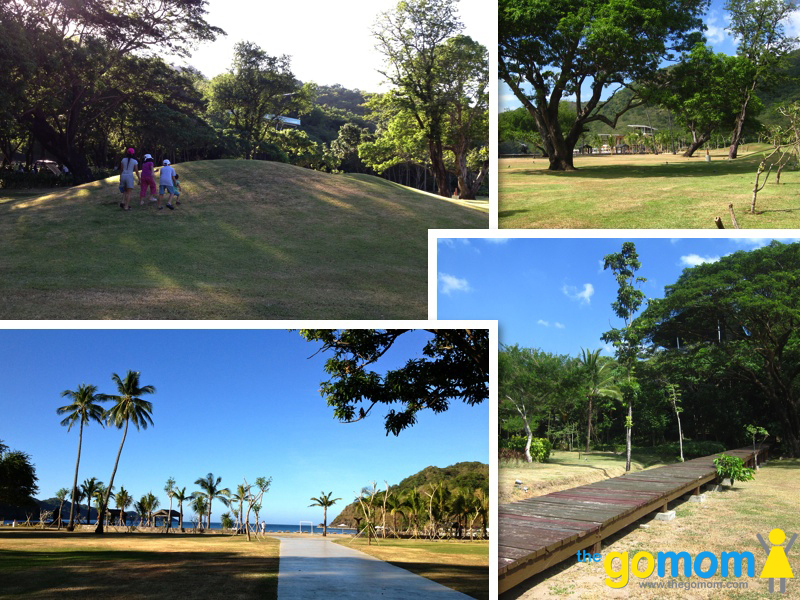 Pico has a good beach with fine light brown sand, huge open spaces with verdant greens, a man made lake surrounded by low rise residential condominiums, a very beautifully structured 3-tiered pool and complete club house facilities like bowling, kiddie play area plus ATV rides, pony rides etc. Sharing you some pics and info (how to book etc.) of our wonderful Pico trip. Enjoy! The beach sand, though brown, is fine and not ouchy to the feet. The water was clear and there were lots of silver colored fishes to see. My daughter had lots of fun trying to catch the schools of small silver fishes but they were just too fast. The sun deck chairs dotted the beach, perfect for relaxation. My son, his shovel and the sand are inseparable. My kids and I can't get enough of the beach. Go for an early morning walk. We were in the beach by 7am. The sun is not scorching and there are not much people around. Plus there are more fishes to see. Swimming in the beach is also safe. No undercurrent and sudden drop that I know of and I walked quite far yet the water is still shallow. 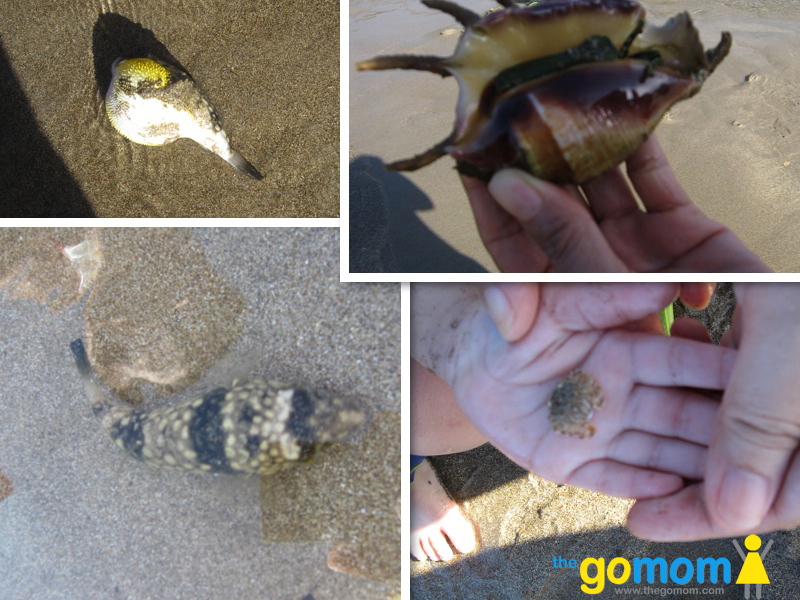 My kids squealed in delight when they saw a small puffer fish that blew itself up. We caught several crablets and a shell fish that stuck its body out looking like a grotesque alien. All marine life we saw and caught were immediately returned to the sea. 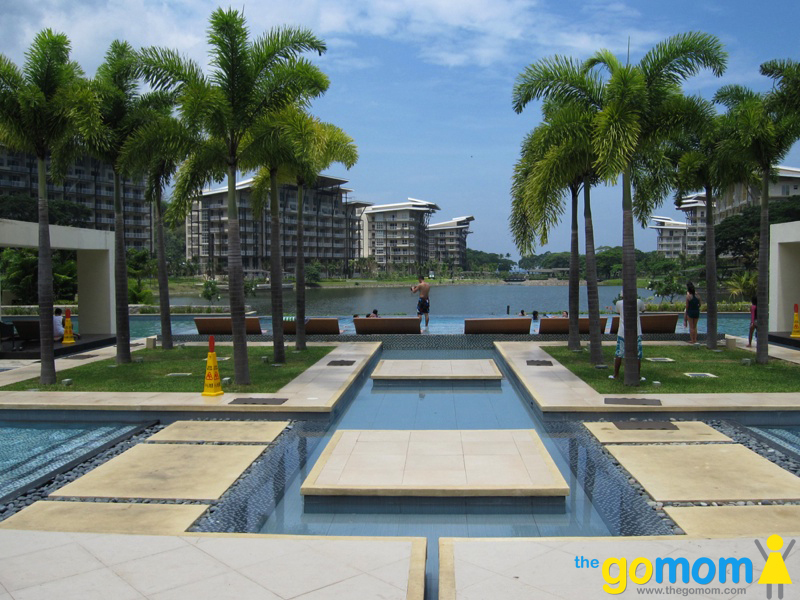 The condominiums, the main club house (there is also a beach club) and the Pico Sands Hotel surrounds this serene man-made lake. Afraid of dengue, much? 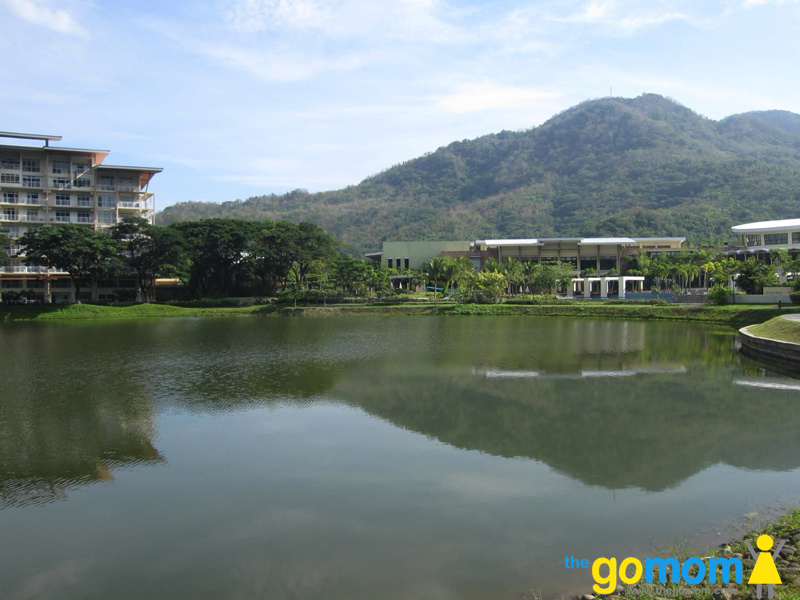 The lake has fishes so it shouldn't breed dengue mosquitoes. We didn't feel mosquitoes too. But just the same, bring and spray those anti-dengue mosquito repellants. More of the lake. Bring your rubber shoes. It's nice to have an evening or early morning run around the lake. This well structured 3-tiered pool, by the main club house and near the hotel, is a beauty! The fountain pool on the upper right come in 2's left and right (see pic below). The low water level where the sun deck chairs are, are perfect for toddlers who are still too small even for kiddie pools. After the infinity sun deck lap pool, an even longer lap pool awaits. Can't get enough of the beautiful pool. The pool on the lower left is a separate pool located at the beach club house area. Btw, be sure to check if the main pool is available on your date of travel. First time we went, it was open. Second time, it was closed for renovation. Lower Right: Adjacent to the main club house pool is this kiddie pool. And a separate kiddie slide pool where my kids went for the slide again, and again, and again. There are a lot of spaces that are green and open. And the whole family loved it! Lower left is the pathway that connects the beach to the lake with the low-rise condo structures. Lower right is the pathway from the beach to the chapel. 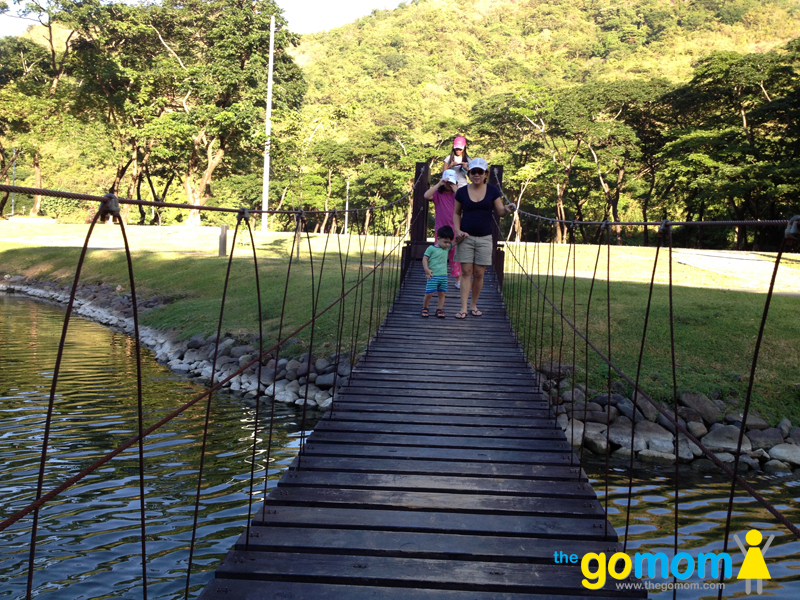 Hanging bridge by the lake will bring you to a small patch of land. 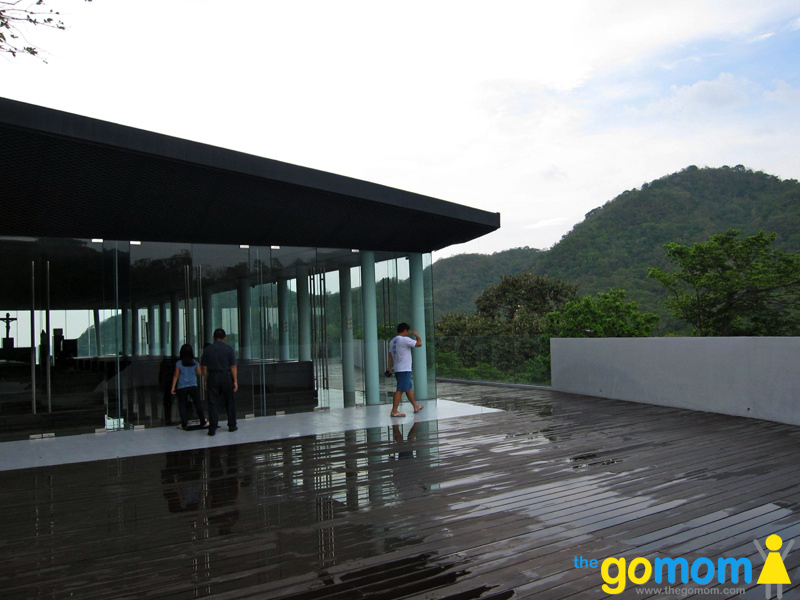 The glass chapel of St. Therese overlooks Hamilo Coast. The simple yet stunning chapel of St. Therese, up close. 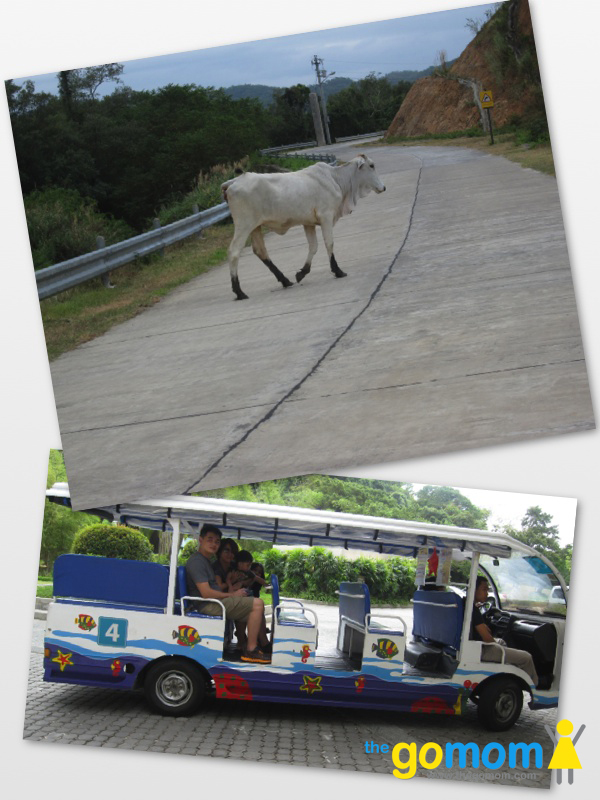 You can go around Pico using the top pic or settle for the friendlier jeepney. Kidding on the cow. 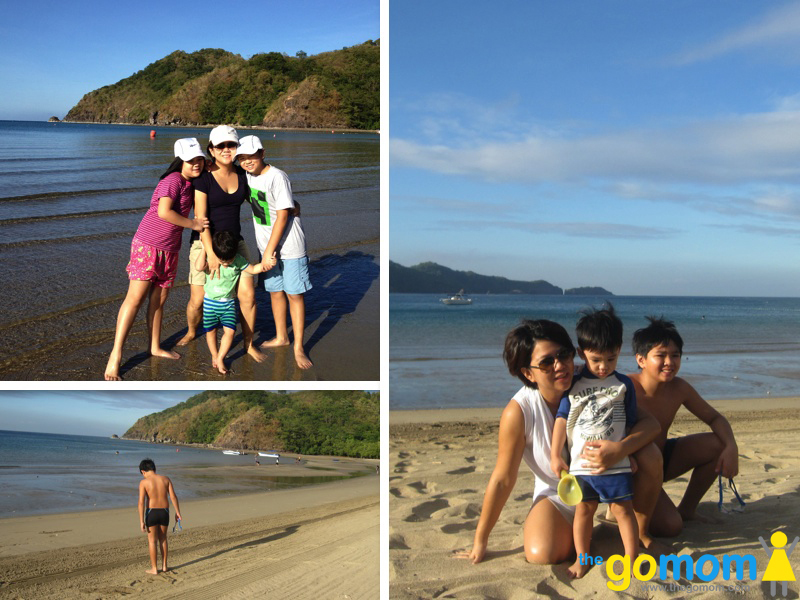 Meantime, my general review of Pico is that it is a wonderful place to travel with the family. 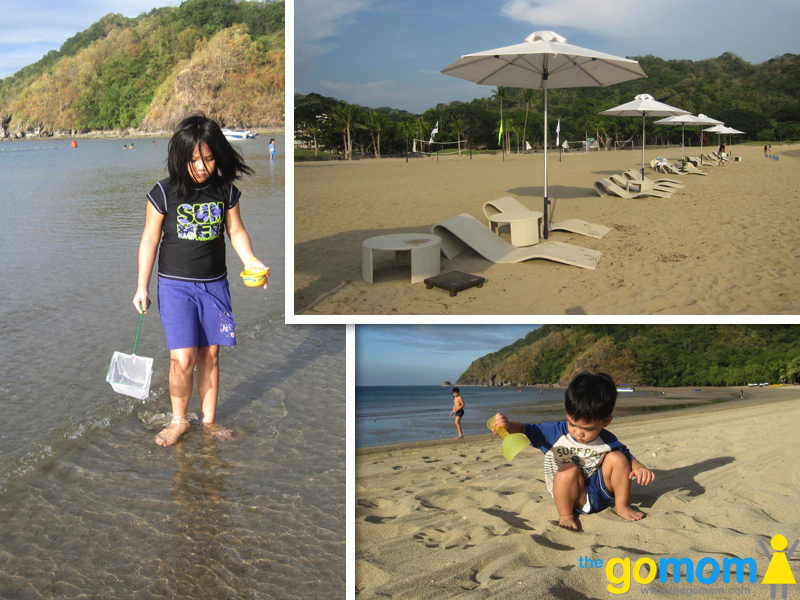 The beach, though not white, is safe and friendly to the kids. 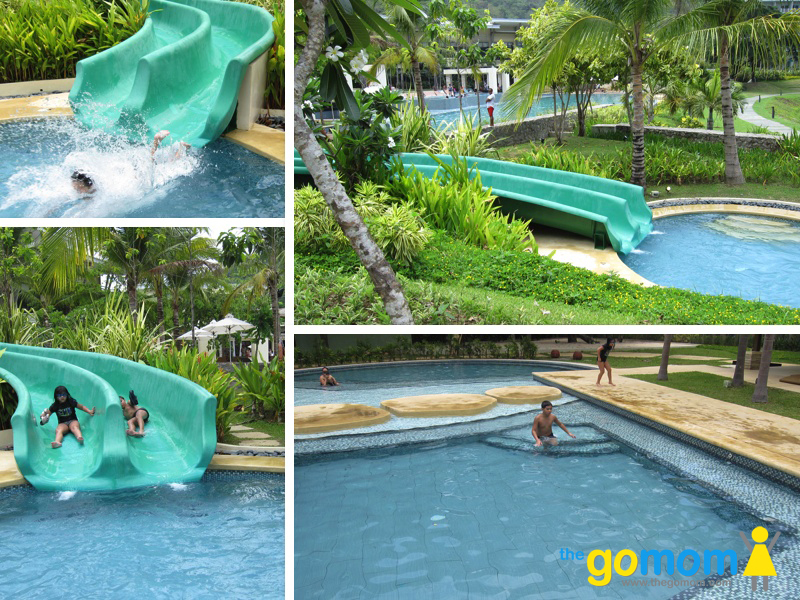 The swimming pool is beautiful and there are a lot of other activities to do. In case you want to eat before entering Pico, your last stop for fast foods is at the Nasugbu town proper. There is a Jollibee and Chicken Inasal. Travel time by car is approximately 3.5 hours with relatively easy traffic flow. 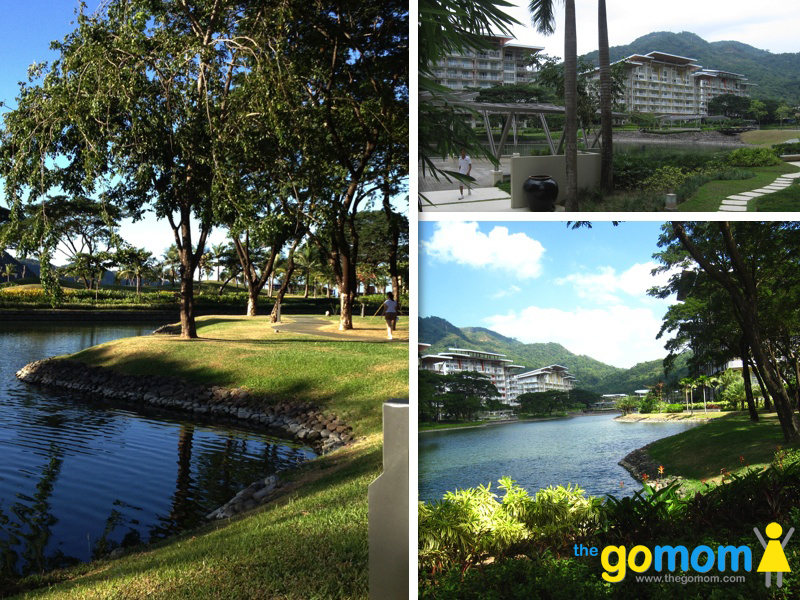 Pico de Loro also offers ferry services from Roxas Boulevard to Pico at P1,200/per person for non-members. Travel time by ferry is at 1 hour 30 minutes. Disclosure: This is not a sponsored post. 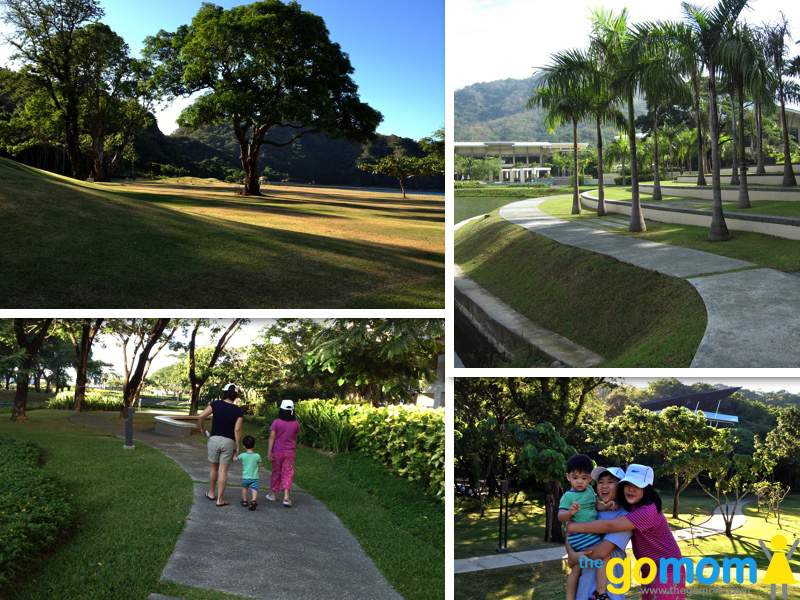 My family and I went to Pico de Loro and paid for everything. Hello go mom, would u like to try my condo? Please email me if interesred. Thank you! Hi Gie! Thanks for offering your condo. Maybe you can send photos of your condo to laryeo@gmail.com so I can include it in my options for my next visit. Thanks! Hi 🙂 can you send me the contact details of TGIW? Hi! What an interesting place to visit. Thanks for this helpful & a very informative blog. My sister-in-law is coming from US with her family this August & we’re planning find a very nice place like this. Can I ask for the contact number of TGIW & their rates. Thank you so much. Hi Mhadelyn! Pico is a very nice place to visit esp on lean months. On peak months (March-May), it gets really packed. I have sent you a PM on TGIW number. Please negotiate directly with them. Thanks! 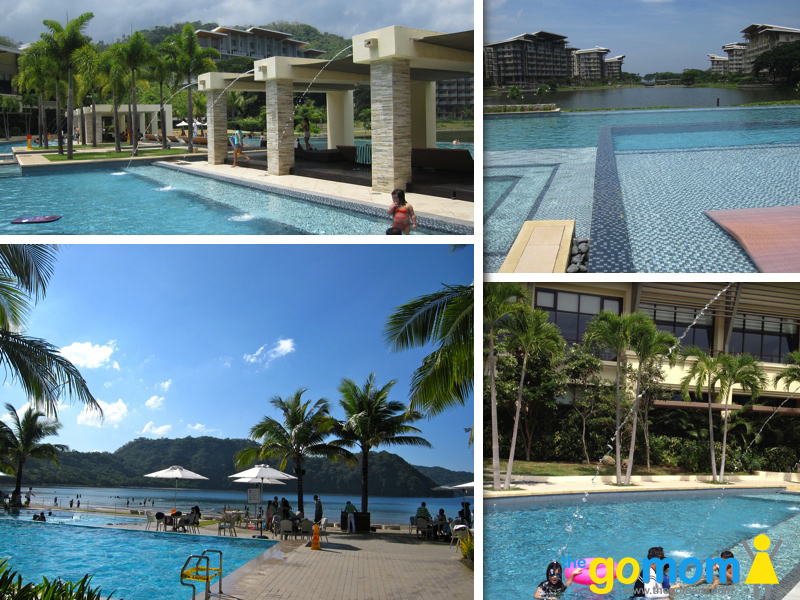 Hello po, thanks for sharing a good review regarding pico de loro, if in case po u need to rent a condo, i have one bedroon condo, fully furnished, can cook, 6pax allowed at the unit free wifi..
Hi Gie! Thanks for sharing your contact details. Guys, Gie is renting out her condo. I have not tried transacting with her though and have not seen her unit. Do let me know if you try her out and how the service went:-) Always nice to have another condo unit option at Pico. Can you send me the contact no. 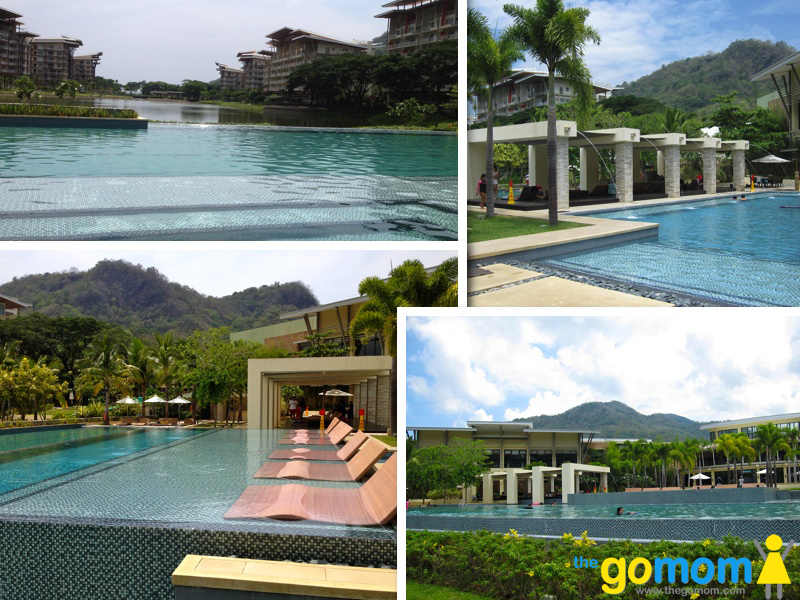 of the person your renting at Pico de Loro. How much is the total budget? Thanks..
where i could find the tgiw? Hi Miles! TheGoMom has used TGIW several times and I have been very happy with their service and condo units. I have sent you a PM of their number. Hi Tina! Thanks for finding the post useful and my apologies for the late reply. I usually book with Thank God it’s Weekend. I just found them out in Sulit.com but I have used them thrice already. That said, I don’t know them personally:-) sent you a pm of their number. Enjoy Pico! hi mam ask ko lng po yung number na nagrent kayo ng unit sa pico., We ate plannong to celebrate my sister’s birthday po kase on June 11. Hello. May i know how did you book/rent a unit? Are rates mentioned above day tour rates or overnight rates? Thank you! Hi Helen! I usually rent from TGIW, sent you a PM. I don’t know them personally but I have used them thrice in the past and so far so good. Re rates above, that is just the guest fee for guests who are going to the use the club facilities like swimming pool etc. 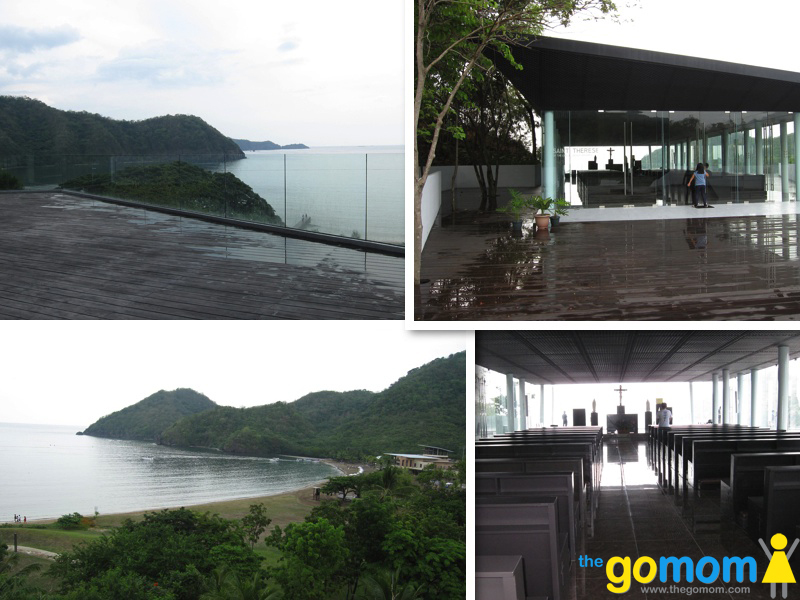 For the accommodations, it can run from P6,000- P 12,000/night. Have fun! 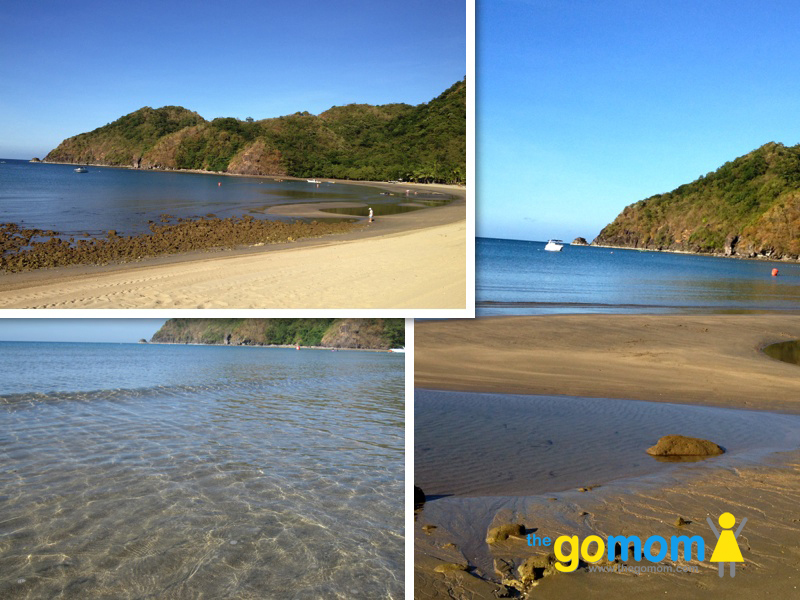 Hi po can I ask if pnaparent nyo po ung unit nyo sa pico de loro,and kung oo po how much?thanks! Hi Gerald! I don’t own a unit in Pico. But I sent you a pm where I usually rent:-) I don’t know them personally but I have used them thrice in the past and so far so good. Have fun!